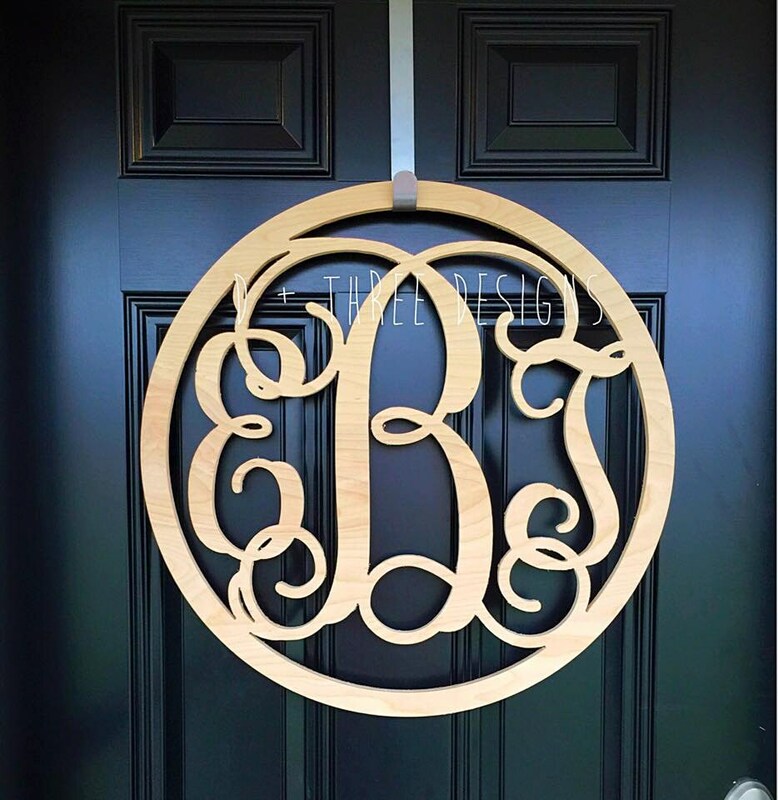 22 Inch Circle Wooden Monogram, Letters, Home Decor, Weddings, Nursery Letters, Ready to be painted! This circle border vine monogram piece is 22” round. 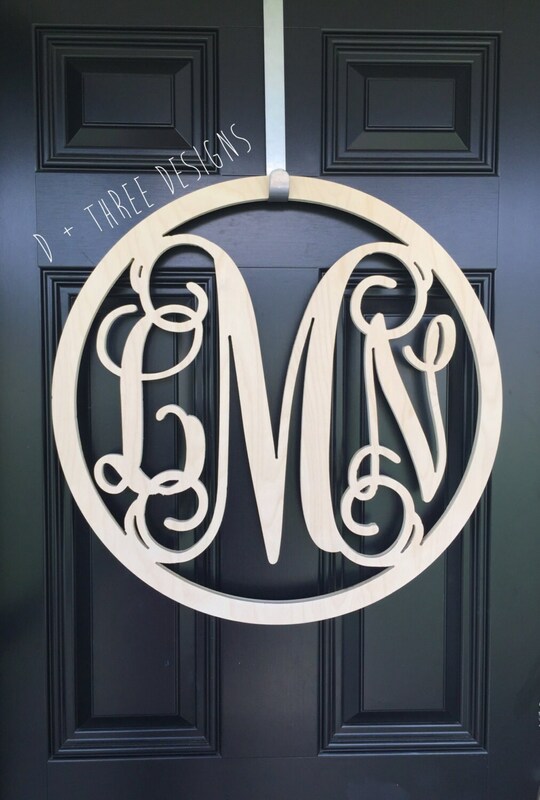 Your monogram will be cut from 1/2" birch wood and comes unfinished/unpainted. 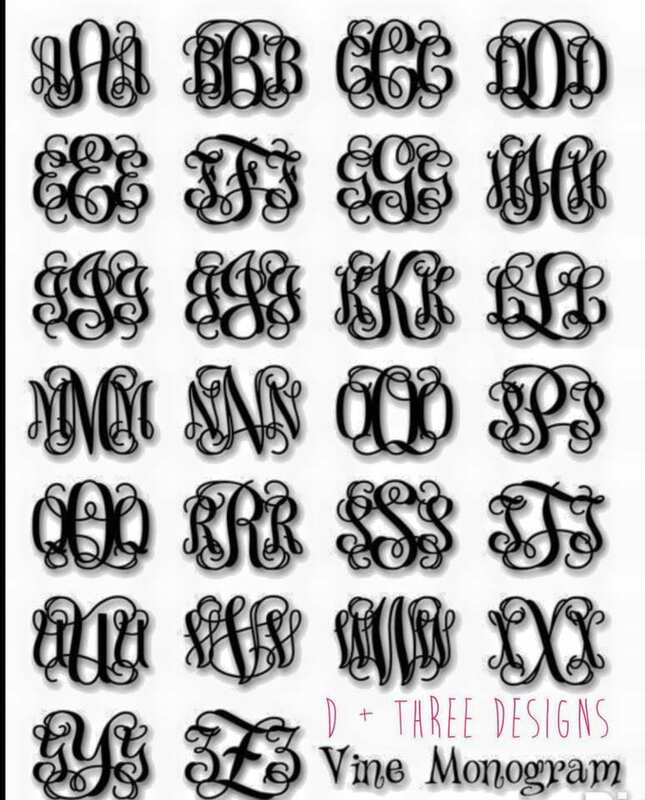 The circle border measures 2 inches wide and then the three letter vine monogram is connected inside. These make great wedding guest books, home décor, nursery decor, or wedding décor. Your design will come lightly sanded ready for you to paint. Additional sanding is recommended prior to painting. Very nice item. Much heavier than expected but very nice!